"We have to do Forbidden Journey first." "Are you crazy? Escape from Gringotts!" "I was thinking of splashing into the pool at Cabana Bay Beach Resort right after we check in." Yes. Even us savvy trip planners can get hung up on how to tackle a Universal Orlando vacation. One of the few things we can agree on is WHEN to visit. Crowd levels have a big impact on everyone's theme park vacation. This post outlines the very best times to visit Universal Orlando in 2019 and 2020. It also outlines the more crowded times to visit. As we've said before with visiting Disney World, there's never a bad time to visit Universal Orlando. The Frog Family has hopped down during every season and successfully managed the crowds. We stick with our basic plan — get to the park at opening, take breaks in the afternoon when the parks are at their busiest, make use of our park plans and wait-time app, and use Universal Express. 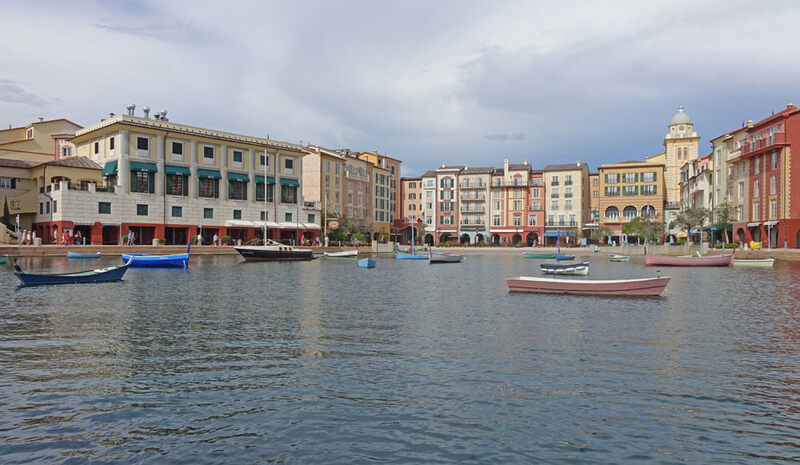 We highly recommend you consider staying on-site at one of Universal’s official hotels that offer Universal Express Unlimited — basically unlimited skip-the-line access on most rides at Universal Studios Florida and Universal’s Islands of Adventure. The Universal hotels that offer the benefit are Loews Portofino Bay Hotel, Universal's Hard Rock Hotel and Loews Royal Pacific Resort. Having a plan also helps manage crowds, which is why we've put all of our experience into these handy-dandy Universal Orlando park plans. There's no magic to our methods (well ... snacks and caffeine help). Simply follow our advice and you'll find the crowds manageable, even during the busy times. We know that the word "crowds" can conjure up visions of hour-long waits for the popcorn cart. While that's a little extreme, there's no denying that there are better times to visit Universal Orlando than others. It should come as no surprise that the best time to visit Universal Orlando in 2019 and 2020 falls along school schedules. Generally, when the tadpoles will be out of school, there will be crowds at Universal. This is as true for a one-day holiday such as Martin Luther King Day as it is for a week-long spring break or the big draw — summer vacation. Before booking your vacation to Universal on our site, we recommend you check our Crowd Calendar. You can get a view of the crowd levels by day, month or the whole year. You'll also find individual park recommendations so you can easily see at a glance the best time to visit Universal Orlando in 2019 and 2020. Special events should also be a consideration in deciding the best time to visit, and they are also displayed on the crowd calendar. For example, Halloween Horror Nights can scare up a good crowd (yes, I went there). Another consideration is Universal's Volcano Bay. Universal's third theme park has splashed onto the scene, and many visitors are extending their trips to experience it. (Check out our complete guide to Volcano Bay if you're planning to visit.) And, yes, it is open year round. Yes, we know this is a post about Universal and Star Wars: Galaxy's Edge is headed to Disney World, but we would be remiss if we didn't acknowledge that the opening of this highly-anticipated land would have an impact on crowds. Once it opens, many people will plan trips to experience it, but they will also still see other parks during their vacation, too. The land is set to open some time in fall 2019, and while we don't yet have an opening date, we have adjusted later fall crowd levels in anticipation of this opening. The best dates to visit likely won't change (nor will the worst dates), but we expect all crowds will be more elevated. So When Is the Best Time to Universal Orlando in 2019 and 2020? 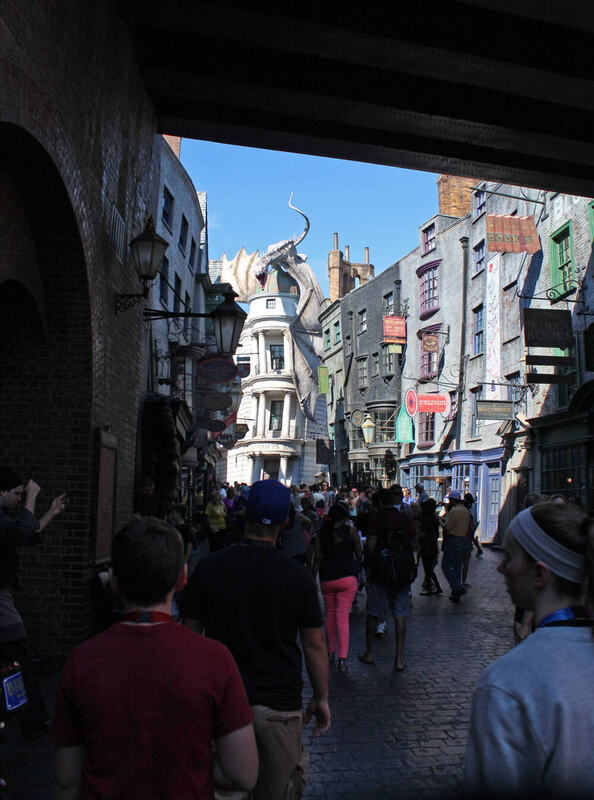 Historically, September has been the very best month of the year to visit Universal Orlando in terms of crowds because the kids have just returned to school. It is still our pick for best month to visit; however, the popularity of Halloween Horror Nights has brought in more crowds, and the event regularly sells out. If you're visiting the resort for that time, and specifically for that event, make sure you purchase your tickets first and book your hotel early. Those weekends could see more guests who come in for the event and spend their daytime hours inside the parks. September is also the height of Orlando's rainy season. You should prepare for daily afternoon thunderstorms and possibly more rain than that. Come prepared with ponchos. With those caveats out of the way, we still feel that fall is a good time to visit Universal Orlando. The big variable for spring is when Easter falls. When it's earlier in the season, there is generally a shorter, more intense "spring break" as school districts narrow down the week they give kids off. When it's later in spring, there is generally a longer but less intense "spring break" season as school districts have more variance in the week they give kids off. In 2019, Easter falls on April 21, making it a longer season than 2020, when it falls on April 12. That is still relatively late and therefore will be slightly more intense in 2020, but still not as bad as it is when Easter lands in March. Holidays bring crowds, and for good reasons. People are off from work and want to enjoy their time in the parks. 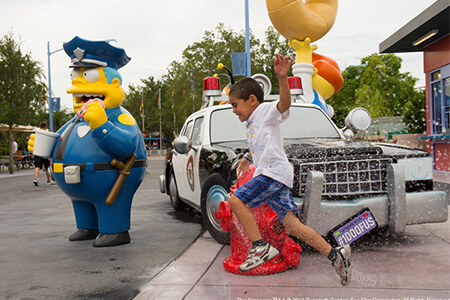 Many families make it a tradition to gather at Universal Orlando to celebrate everything from Easter to Thanksgiving. Universal Orlando Resort has festive and frightening holiday events. We've already mentioned the impact of crowds from Halloween Horror Nights. Christmas has also become a bigger deal at Universal Orlando than in past years with the arrival of Christmas In The Wizarding World of Harry Potter. Muggles and wizards alike are flocking to the parks to enjoy the holiday decorations, entertainment and food in Hogwarts and Diagon Alley. 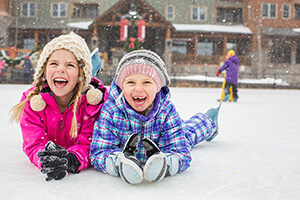 Stock up on those precious personal days and consider visiting on these less crowded holidays. It will still be busy, but not as noticeable as Christmas. Now you know the best time to visit Universal Orlando in 2019 and 2020. Wondering how crowds will be during your trip? Check out our Crowd Calendar. You'll find more resources to help you plan your Universal Orlando vacation on our When to Visit Orlando page inside the Orlando Planning Timeline! Our family is going to be visiting Orlando and we are considering doing a few days at Universal. The problem is we are limited to visiting in July. Any suggestions on the best days to visit to avoid crowds or anything we can do to make it more "doable"? We know it will be crowded, but its the only time we can go. We toadally understand! It is certainly do-able. We recommend getting an Express Pass while you're there. It allows you to skip the lines, either one time for each ride, or if you spring for the Unlimited Express pass, as many times as you'd like. Check out our Crowd Calendar to see what we anticipate in terms of crowds in July. 1st timer to Universal and my 12yr old daughter is HP obsessed! Looking to go Nov 3-8 nervous about ride closures, can I find out ahead of time? I will change if need to. Also we were going to stay at Loews Pacific, anyway to save? better time for discounted rate? I am getting a great ticket price from Sams Club B2G3 Free :) Any other tips or suggestions for 1st timer appreciated. You can check out Refurbishments here prior to your visit. While these aren't announced very far in advance, you can keep an eye out to see what may be closed during your trip. We are planning to go to Disney and Universal Orlando between May 1 to May 9th, 2019. We are going to Magic Kingdom on one day, EPCOT on one day and planning to cover Universal Studios and Universal Island of Adventure in 2 to 3 days. 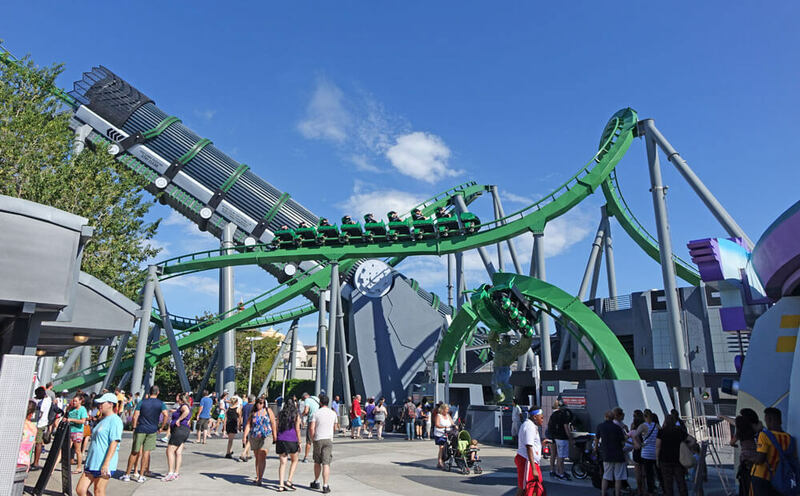 Do you need to purchase Express pass at Universal Orlando? We are planning a trip to Universal in September, but I don't see tickets or park hours available past June. When do fall tickets / hours usually become available? Unfortunately, they only release operating hours a few months out (and even those can change sometimes during the month)! Our best recommendation is just to continue checking back. Operating hours pretty much always begin at 9 a.m. - it's closing time that may vary a bit. You can, however, purchase tickets from now through the end of the year on Universal's website! We would like to take our kids to Volcano Bay between the end of March and the end of May. What weekends or weekdays are best, in terms of crowds? We would like to get out there before school gets out, but wondered if it's already busy with tourists. Thank you in advance! We'd recommend the second half of April and the first half of May. Check out our Crowd Calendar. It's a great indicator of crowd levels. Hello! I was wondering if there was a specific event/reason that IOA is listed as busy the last 2 Tuesdays in August? Thanks! We are planning a trip Oct 22-25 to go to the Universal parks. According to your calendar, it looks like crowds will be moderate those days. 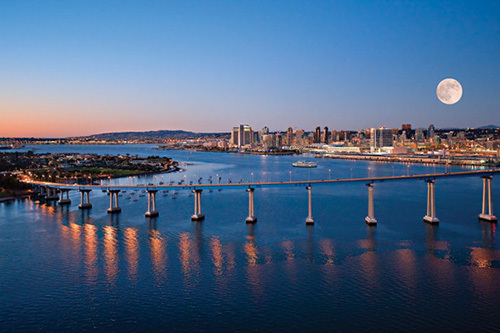 I am trying to decide if it is worth staying in one of the hotels that issues Express passes to their guests, or if the lines will be manageable enough that we can stay at a less expensive hotel. Would love to hear you opinion. Thanks! If you can afford the hotels with the Express benefit, we would recommend them at this time. The parks do have more guests coming in for Halloween Horror Nights, especially as Halloween gets closer. While your dates are mid-week and therefore not the most crowded, it's your call, but we'd spring for them if we could. Crowds look to be pretty mild at that time (3s and 4s), weekends being the exception at a level 6, according to our Crowd Calendar. You may consider the Express Pass for the weekend, or can always check things out and assess your comfort level once you get to the park. Now that the opening date for Hagrids ride has been announced how much will crowds at Universal generally, and the Wizarding World specifically, before and after the opening, be affected? 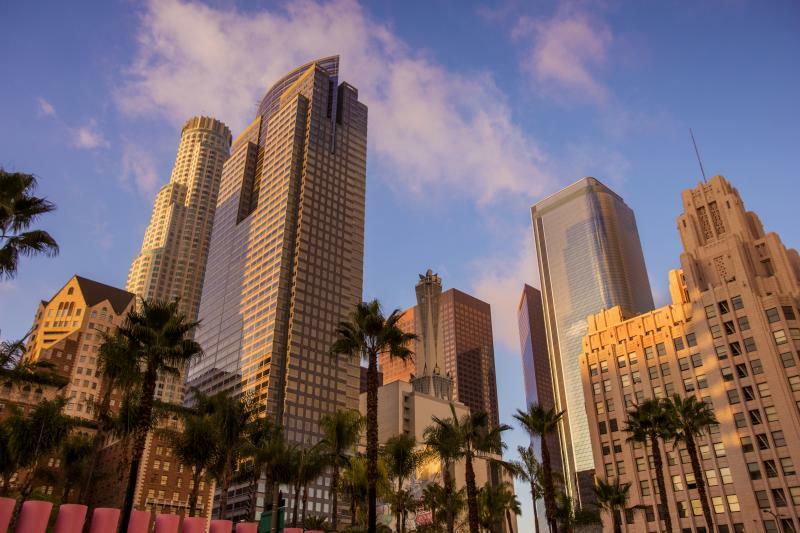 This is already the start of summer, and largely families will have already set their dates or be locked into dates because of school schedules, so it won't be as big of a lift on crowds as say a highly anticipated new land. But keep in mind, that it will likely bring some additional people who were already planning trips but might not have been 100% set on a visit to Universal. Looking to plan a Florida trip March 27-April 1 2021. Easter falls on Sunday, April 4, 2021. We were planning on spending one day at a Disney park, two days at Universal, one day at Sea World and one day at Discovery Cove. Everything I read says to stay away from Disney around Easter. Is this a bad choice? We went to DIsney in 2015 in the summer and had crowds and we don't want to have that same experience again. Thank you. It would be a busy time based on Easter being earlier in the season plus spring break! Ultimately it's your call on whether you can handle the crowds. Perhaps the 29th-31st would be slightly better than that Thursday or Friday for Disney. The good news is Discovery Cove has a smaller limit on how many people it lets in, so it would not feel as crowded. Hi! We are coming to see the Harry Potter worlds and can either be there Wed - Sat March 13-16 or Sun-Wed March 17-20. I would have thought the 13-16 would be less crowded but it's slightly more expensive then so maybe I am wrong? That's interesting! We would think so too, but in general crowds will be elevated during either dates for spring break. Those weeks look to be almost identical in terms of crowds, so I'd go with whatever works best for your family. When the park closes for the day, typically this is around 5 p.m. Keep in mind that Universal's Islands of Adventure typically stays open later on nights HHN are held. Thinking of going midweek from June 3rd to June 7th. Would it be really crowded and warrant an express pass even if it's midweek? This is still a pretty good time to go. I don't think you have to have it at this time, although it's always nice when you do! OHH man we are going February 16th- to the 20th. Mostly for just Universal and one day at Magic Kingdom. After reading this im wondering if we should spend extra money and do the hopper between the 2 parks and add the fast lane too. so we can do both park in one day. Is this doable in your opinion? Unless you think both parks with just the hopper ticket is enough? it looks like we are going during a busy time. AHHHH!!! Magic Kingdom and Universal are not associated, so you will not be able to "hop" between those two. But you could purchase the Park-to-Park ticket for Universal that includes Universal's Islands of Adventure and Universal Studios Florida and allows you to hop (these parks are connected). This is a busy time to visit, so it would be a good time to consider purchasing Express Passes for your Universal visit. While we do not sell Express Passes, you can purchase them online or when you arrive at Universal. 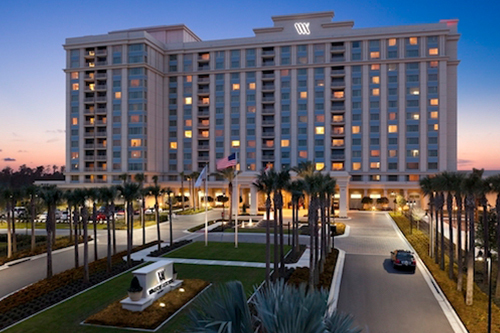 You can see all of our discount Orlando ticket options here. Why is this time in February particularly busy? Thank you for all the information. We are visiting in late May of this year. Do you know when the publish the special graduation dates the park closes early for middle schoolers? The dates for Gradventure are May 3, 10 and 17, 2019. Planning a visit March 31st to April 4th. What are the expected crowds? Thank you! Both Mardi Gras at Universal and the Star Wars Marathon are going on around that time, so crowds are slightly elevated during that time, based on our Crowd Calendar, due to Mardi Gras and the Star Wars Marathon crowds. When will the Holiday Schedule be available? I'm going the 1st week of December and trying to plan for the parades and Christmas events. We are anxiously awaiting any news about the holiday schedule, too -- we'll keep our eyes and ears open! Planning on a trip April 13-17 2019. How long will waits potentially be if we have unlimited pass? With a Universal Express pass, you'll hop to the front of the line, so your wait should be minimal (10-15 minutes). Crowds look moderate at that time, so it's just a matter of whether or not you'd like to hop ahead in line! Planning on visiting Universal on Saturday April 13, 2019 thru Wednesday April 17, 2019 with the unlimited express pass. Will this be ok with Spring Break crowds? Not sure exactly when it the most crowded. It will be busy, but with Unlimited Express you will definitely have a (frog)leg up on the rest of the vacationers! Do you happen to have any idea of potential wait times with fast pass at this time? What is the best way to get from the airport to the hotel? Has anyone ever done Uber and how much was it? My family and I go from 9th April for 10 days, we obviously expect it to be busy but was wondering if its worth going later in the afternoon/evening or very early morning to avoid the peak of the crowds? Yes, it is worth it. 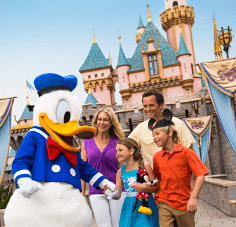 Here are our top tips for beating the crowds at the theme parks (even during peak times)! My husband and I will be traveling to Disney World on Jan 26 and leaving Sat Feb 1st. What is there to do there while we are waiting for our room at the resort on Sunday? There isn't much time that day since we can't get into our room til late afternoon. What is there to do while we wait? You should check out Disney Springs. Great place with shopping and some of the best restaurants around. If you like wine I would highly recommend Wine Bar George, otherwise they have many world class restaurants. Disney Springs has free parking and is free to get in, and is one of the best ways to spend an evening after a day at the parks. You won't be disappointed. Well, it depends on where you are staying, but all of the Universal hotels will store your bags. You could then either change into swimsuits and hit the pool or hop over to CityWalk for shopping and dining! The parks are all busy during this time. Have you looked at our Crowd Calendar? You can see individual park recommendations by day! For example, Magic Kingdom is recommended on Jan. 3 and Islands of Adventure is recommended on Jan. 5. My son and I are going to Universal for 1 day, Park-to-Park. Do you recommend a fast pas? What fun!! It really depends on when you go. This post can help you decide on whether you need Universal Express. We are going to Universal with our sons (ages 8 and 10) from April 17-23, 2019. We are debating staying at Cabana Bay versus Royal Pacific. If we do Cabana Bay we will buy Express passes. My kids love swimming so the pool area is very important. Can you recommend one of those over the other? Thanks! I would do a cost comparison of Royal Pacific vs. Cabana Bay and add in the cost of the Express passes. Another option would be to do a split stay at both hotels. 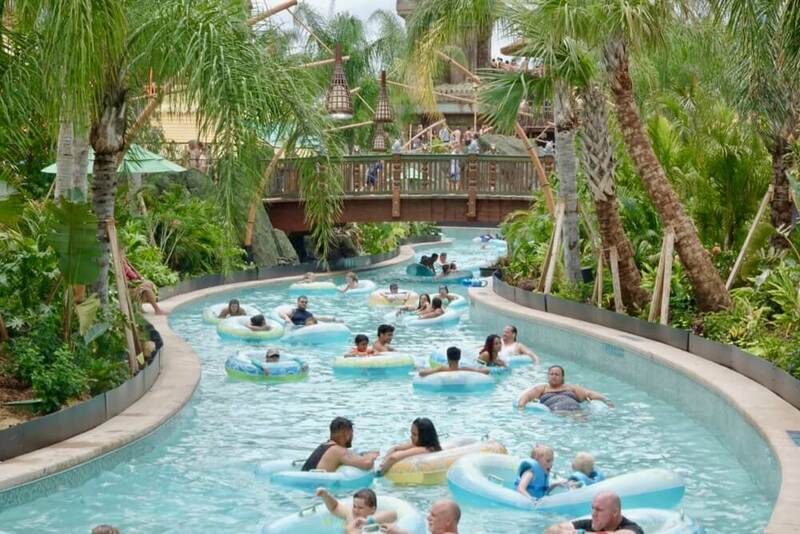 Either way, your kids can visit all of the hotel pools at Universal, so you could have one full Cabana Bay pool day even if you stayed at Royal Pacific. The pools at both hotels are awesome, but we'd always lean toward staying at the hotel that offers Unlimited Express, but that's just us! Is there a reason why Jan. 17-21, 2019 is considered worst time to visit? I see that Pro Bowl will be held 27th, and Harry Potter event is not going to happen. Does this change the crowd predictor? MLK Day is Jan. 21, and so it brings in more folks who want to take advantage of the long weekend. I will be visiting Universal Islands of Adventure on Dec 27th. Just to get an idea, how much of the park can I approximately cover in a day that being a Christmas week. We'd recommend you keep expectations low given expected crowd levels. We'd love to hear how many you are able to get to! 1. Do you know the 2019 dates for Christmas decor and shows? 2. Is November still warm enough to swim? We will be going to Universal Orlando Christmas Day and the day after. Do they limit the Universal Pass? if so, how soon would we need to get them before they sell out? We are a family of 5, planning a visit the last week of February. Is it possible to do both parks (we want Harry Potter World) in one day? Or is it better to have 2 days to cover everything? Thx for your help! Hello! We are taking our son for his 7th birthday on May 2nd & 3rd (Thursday & Friday). I was wondering if it would be worth it to add-on the fast passes to our current general tickets? And if so, any idea how much that add-on would be? Thanks ???? Our Crowd Calendar predicts moderate crowds on those days. We don't find Express passes necessary for such average crowd levels, but they always help to save tons of time! Universal Express passes start at $89.99. We will be in Orlando Dec. 30, 2018- Jan 4, 2019 for our 2nd time at Unversal Studio's and Island of adventure, getting 2-day park to park tickets. Our "kids" are 21, 17, and 14 yr old boys. We are arguing over where to spend New Years Eve - at one of the parks, or Disney Springs and hitting one of the parks on Jan.1st and another day before we leave. Your advice? Hi! I'm planning a trip during president's week in February 2019. Should i anticipate crazy crowd volume and splurge on the extra cost of the express pass? I’m looking to visit February 24th-Mar 1st 2019,how will the crowds be during this time?! Our Crowd Calendar predicts this to be a good time to visit! We always go the last week of April for iur Anniversary and crowds would be low. Why is it so crowded at this time anymore? Ugh, it can be tough to navigate the theme park crowds. They depend on a variety of things ... when holidays and school breaks fall, weather, events and more. We try to predict them as best as we can! You said September is peak rain season, whats the weather like during January-March? This probably isn't the right place to ask this question, but does Universal still have their refillable cup program or do they only have the Coke Freestyle program? We will be visiting during Spring break. March 16-22, 2019. Will probably only do 1 or 2 days at Universal Florida. Any ideas which 2days would be best? Our Crowd Calendar predicts that crowds will be fairly similar throughout that week. I’m going to apend Christmas at Universal and I’m wondering if the express line will be too crowded too. Do you have an idea of the worst it can be ? It's tough to say. No matter how busy the parks, the Express Pass will cut your wait times. The single rider line is often faster than even the Express Pass, so consider using this during the busy holidays. Thank you for all the great advice! I am trying to figure out the child to adult ratio for Nov 29 - Dec 2. If there are a lot of kids riding the rides, I would splurge for the express pass but if this is more of an adult crowd due to time of year I may risk it. The crowd tracker is showing 5/10 to 6/10. It's always safe to assume there will be lots of families with kids in the parks, no matter the time of year! We hope this helps you make a decision. A moderate crowd level of 5 or 6 usually means that an Express pass isn't necessary, but will help you save time. We are taking our first visit to Universal from December 8th - 13th. How crowded do you think the parks will be during that time? Do you think the weather may be warm enough to go to Volcano Bay? Our Crowd Calendar predicts moderate crowds - a GREAT time to visit during the holidays. Good pick! Historically, highs are in the low 80's this time of year, and water is heated at Volcano Bay, so it should still be great! Hi Mommy Frog - I am piggybacking Kevin's question. We will be there Dec 12-16 so it seems it shouldn't be quite as busy. In that case, do you think it is worth it to stay at one of the hotels that offers the express pass? Or stay at a less expensive hotel b/c we won't need the express pass? We've never been and of course all things HP are the draw, so I've heard we may not want to use the express pass for the HP activities? Thanks so much! Our Crowd Calendar shows moderate crowds for these days, which means you can't go wrong with or without Express pass. It's not a necessity, as lines shouldn't be TOO long, but it's always an awesome time saver. Up to you! I am spending 1 day at Universal during the Thanksgiving weekend (11/24/18). I bought the 2 park pass because I am really going for HP's Wizarding World. I am going solo. Is it really worth it to buy the express pass since I will always be the single rider? Our Crowd Calendar does predict that it will quite busy on Nov. 24. Single rider lines will be GREATLY helpful, but some not ALL rides have them :( If you don't mind waiting in line for those few exceptions, there's no need for an Express Pass. However, it will still save you a good amount of time. We will be at Universal Studios and Adventure Island the week of Thanksgiving 2018 (11/19-11/22); what type of wait times can we expect with the Universal Express Pass? We just visited during early October 2018 and the Express Pass lines were only 5-10 minutes. Any help you can provide will be greatly appreciated. This looks like a good guide line. We are a family of 3. I was looking at March 2-6. Universal studios to do 2 days and than to Dayton beach for a day. Any and all recommendations would be helpful. Check out our Crowd Calendar for the best days to visit ... and we recommend hopping on our discounted 2-day park-to-park ticket to make the most of your visit. Hi, we are going to Universal on Dec 9th and 10th, a Sunday and a Monday. How do you think the crowds will be? Looks like crowds will be pretty moderate those days ... you're in luck! Check out our Crowd Calendar for details.